Jesus’ triumphal entry into Jerusalem is celebrated and remembered by many people today. The idea of the Christ riding on a donkey as people declare, “Blessed is He who comes in the name of the Lord,” strikes me in a new and fresh way today. Whether you take the account as fact or allegory, I believe there is tremendous value in unpacking this gift handed down to us. A gift of symbols. A Divine promise. A nice story. Whichever lens works for you, I invite you to apply it for a moment. Why do you think Jesus chose a donkey? Others offer that Eastern tradition suggests that the donkey is an animal of peace while a horse is a symbol of war–so of course the Prince of Peace would choose this animal. Or it could be that someone said, “Yo, Jesus, we’re out of horses. You cool with a donkey?” Sort of like a rental car office that ran out of luxury cars. Triumphal entry just five days before crucifixion? Every Palm Sunday, it strikes me anew how quickly events can evolve from ecstatic to traumatic. Everything can be going so well–full of promise and praise–and then in a matter of days, there can be a shift (shift happens) that seems devastating–and final. Perhaps you find yourself in a moment of glory today. I hope so! Don’t be surprised, though, if that moment disappears. From praises of Hosanna, to personal betrayal and the denial of friends, to death–all in a matter of days. But then, in a matter of even fewer days, the miracle and promise of resurrection occurs. And the world is a very different place. I believe this to be the invitation (Divine or allegorical) of Palm Sunday: to mount the donkey you have been given, accept the praise you are offered, maneuver through the betrayal, pain and loss we face, and then arise to a new consciousness of what it means to be a child of God. I like your final sentence because that is so much of what it means to be a leader – to know there will be times of praise, but to realize there are also times of pain and loss. And blame. you need to be able to handle both. Pastor Scott preached on this today. Said that Solomon rode in on a donkey before he was crowned king, so there was great symbolism in Jewish story about Jesus on a donkey. Never knew that about Solomon. Thanks, Lynne. Yes, leadership is such a challenge. Am grateful for Christ’s example. He is risen! JUST SO POWERFUL. THANK YOU FOR SHARING AGAIN IN SUCH CLEAR MAJICAL WAY YOU HAVE TO DRIVE HOME THE POINTS OF LIFE. SUNDAY IS COMING!!!! Thanks for this insightful reminder of Who, WHAT and WHEN. I think some are so busy this week looking only to the Easter weekend. I appreciated that your Week already started with Palm Sunday. I also admired how you brought it down to us living today. 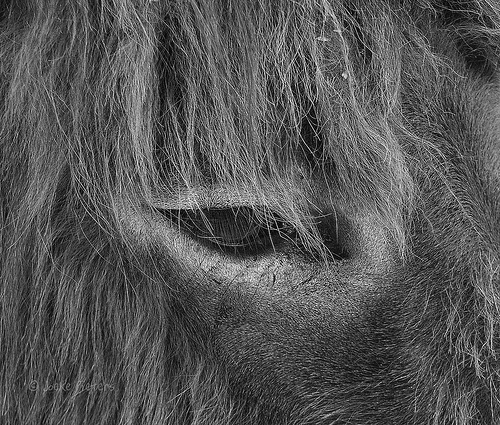 I also loved the snapshot of the donkey’s eye! You write from the heart and lift others’ hearts!